Many older people who lose their jobs are struggling in Switzerland. Despite recent government optimism about the Swiss economy, older people who lose their jobs are struggling, reports Sunday newspaper “Le Matin Dimanche”. 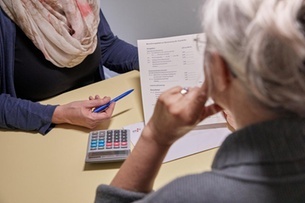 The paper cites figures from the Bern University of Applied Sciences that found only 13.9 per cent of unemployed people over 50 in Switzerland find a stable job again. Many end up on social assistance after their unemployment benefits run out. This comes despite low employment and skills shortages in the Swiss labour market. According to the Swiss Conference of Social Assistance Institutions (CSIAS), the number of 55-64 year olds whose unemployment benefit rights have expired and who are on social assistance doubled between 2010 and 2016. CSIAS is proposing that over-55s should retain their unemployment benefit rights beyond 520 working days if they have worked for at least 20 years, writes “Le Matin Dimanche”. The economics ministry told the newspaper the proposal would be examined.